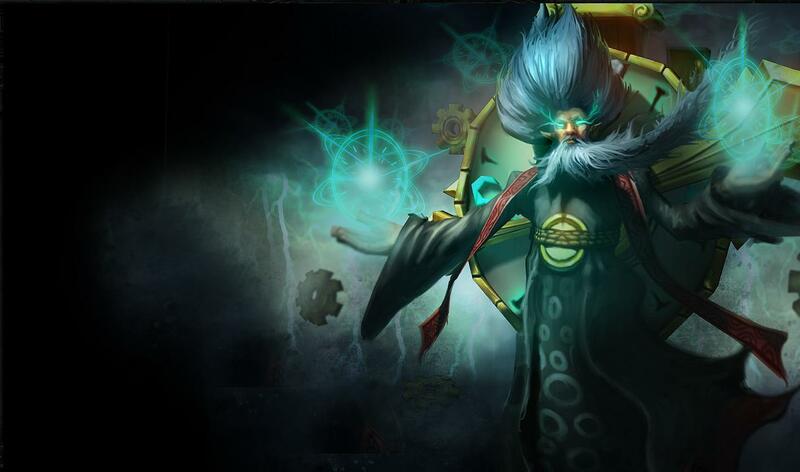 Heightened Learning: How Zilean’s passive is a Game Changer. Zilean is the last Champion to have a truly global passive, with Riot having already reworked Janna and Twisted Fates passives due to global passives lacking counterplay. Zilean is the last Champion to have a truly global passive, with Riot having already reworked Janna and Twisted Fates passives due to global passives lacking counterplay. Now, those Global Passives might not seem like that big of a deal at first, these small advantages do add up over time. Let’s take a look at just how much faster a solo lane champion levels with a Zilean on their team. First, let’s take a look how how much sooner a Champion with Zilean’s passive levels. For the purpose of these calculations, I’m going to assume a Champion absorbs 90 percent of the available experience in his lane to account for roams/recalls. *EXP/Sec calculated using time/exp per gains from minion waves. Additional EXP from Cannon Minion every 3rd wave was taken into account. Does not account from Nuetral Monster EXP. As you can see, the effect of Zilean’s passive appears minimal in the early levels. But if we look at it from a competitive perspective, the ability to hit level 6 even 20 seconds before the opponent provides a crucial window opportunity to gain an advantage. You’ll notice I’ve bolded 6, 11, and 16 to emphasize the difference in time taken to reach each extra point in your ultimate. At level 11, the gap has grown to over a minute, giving a player two full waves to bully the opponent before they get equaled in level. In a Solo Que game, such differences would likely have a minimal effect on the game. In a professional game, where entire compositions are designed around specifc win conditions, the additional EXP could be a crucial factor in a variety of compositions. For Champions that scale well with levels, Zilean’s passive would get you there faster. For Compositions designed around a mid-game power spike, the ability to hit that spike sooner enhances the likelihood of success. For teams that just want top survive the early game, Heighted Learning allows you to play it safe without sacrificing levels. After all, how many times have you seen two top laners meet up for the first time after a lane swap, and one end up getting bullied hard because the other managed to absorb more exp under their tower. These are small advantages that snowball into big ones when explotined. Professional Teams are smart enough to take advantage of tsuch windows of opportunity to gain significant advantages on the map. In short, in a game of inches, Zilean’s passive is a game changer. If you think about it on a team-wide perspective, it’s possible to time an objective so that everyone on your team is a level higher than their enemy counterparts. That’s a huge swing in base stats and spell damage. But it’s not all about the team fights. Having Zilean on your team allows you to manipulate Champion and lane pairings in interesting ways, like putting the top laner with the support instead of the support, allowing your team to maximize EXP on their highest priority member without putting your top laner too far behind. All in all, there are a lot of different ways Zilean’s passive can be exploited. Whether it’s for strategic purposes, like planning your objectives around those small windows opportunity, or to survive a weak early game in order to safely scale into late game, Heightened Learning brings a Heightened chance of victory.